This new introduction provides a distinctive sleek, all-black profile — perfect for blending in while on the stand, or standing out on the tournament trail. Our custom Abyss takedown recurves and longbows are crafted from a solid slab of high-density Micarta, a linen-based phenolic that lends exceptional mass — and hence, heightened stability — to our handle design. Limbs feature black glass with matching caps, wedges and tips for a streamlined design. Our exclusive double-bolt, double-pin takedown system ensures the most accurate limb alignment on the market. 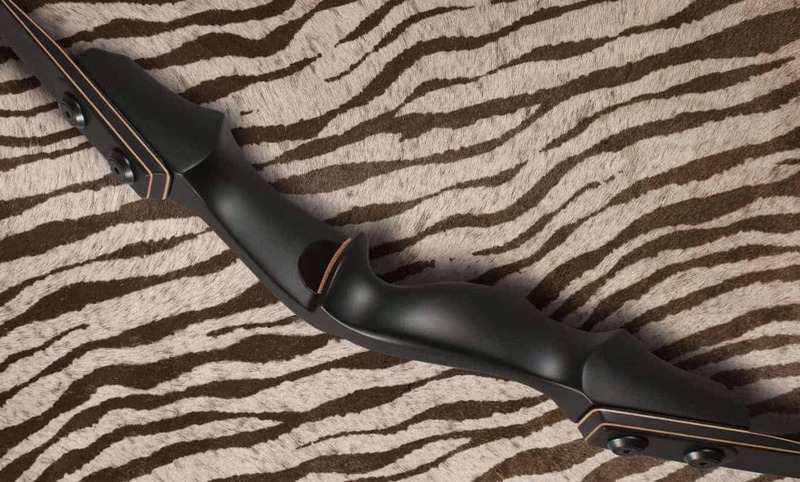 Available as a recurve or longbow; right-handed or left-handed.